A Transition Action can be used to launch a Task. For instance, when a user changes the state of a drawing file, the file is saved as a PDF. 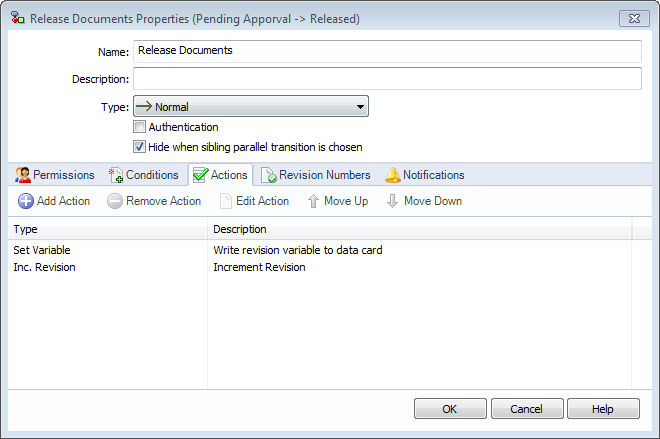 In a workflow, double-click a transition to access the Transitions Properties and left-click the Actions tab. Left-click Add Action, to access Transition Actions. 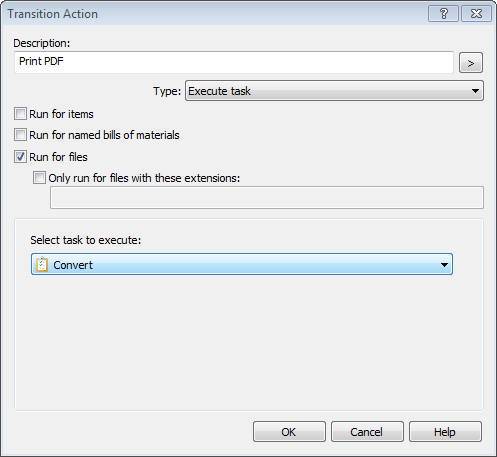 Provide a Description for the action, choose Execute Task as the Type and select the task from the Select task to execute pull-down. A task will have to be created before it can be added to a Transition Action. Please refer to the SolidWorks Enterprise PDM Administration guide, for information on creating a task.